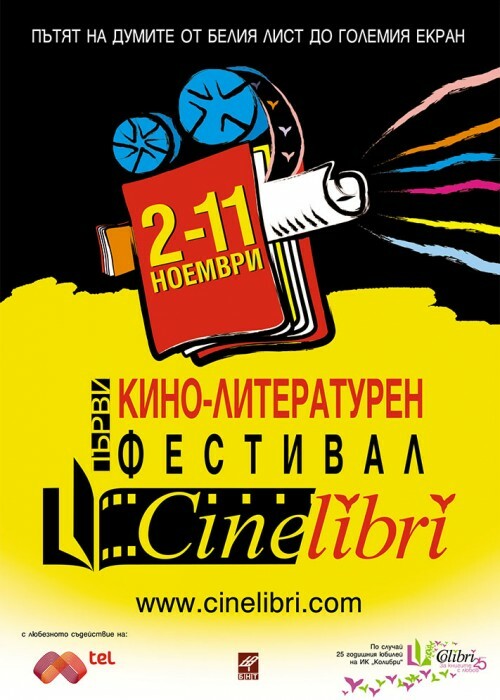 CineLibri 2015 was held in Sofia, Plovdiv and Varna from 2 to 11 November. Among the special guests of the festival were the prominent Italian director, screenwriter and actor Sergio Castellitto, the highly acclaimed Italian writer Margaret Mazzantini and the master of the psychological thriller Douglas Kennedy. Although cinema and literature use different means of expression, good cinema and quality books could be promoted together so that their messages reach more spectators and readers. Within CineLibri 2015 fourteen precisely selected literary adaptations were screened. Four of them were competing for the CineLibri award for best adaptation. Ten titles were presented out of competition, including contemporary and classic feature films and one documentary. Each projection was accompanied by a discussion or happening focused on the topics of the film/book, with the participation of famous European and Bulgarian actors and musicians. A number of booksignings and presentations were held, open meetings with the authors of the literary works and their adaptations. There were discounts and promotional actions such as ‘Buy a Book and Watch its Screening’ for young and elderly people with disabilities, students and retirees. Special emphasis during CineLibri 2015 was the film panorama in honour of the great European writer Milan Kundera. 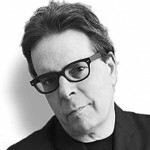 Two adaptations of his emblematic novels were presented – “The Joke” (1969) directed by Jaromil Jires and “The Unbearable Lightness of Being” (1988) directed by Philip Kaufman. Furthermore, a film panorama in honour of the inimitable artistic tandem Sergio Castellitto and Margaret Mazzantini took place. CineLibri guests had the opportunity to watch the three film adaptations of Mazzantini’s novels, directed by Castellitto: “Twice Born”, “Don’t Move” and “No One Saves Themselves Alone”. The author of international bestsellers “The Moment”, “Temptation” and “The Big Picture”, Douglas Kennedy, arrived in Sofia as a special guest of CineLibri 2015 in order to meet his ardent readers. He opened the screening of the film “L’homme qui voulait vivre sa vie” (adaptation of “The Big Picture”), directed by Eric Lartigau. “Delicacy” directed by Stéphane Foenkinos, based on the novel by David Foenkinos. The film was nominated because of the warm lyricism and elegant humour which turn such a poetic and sentimental novel into a charming film experience. “No One Saves Themselves Alone” directed by Sergio Castellitto, based on Margaret Mazzantini’s novel. The film was nominated because of the psychological truthfulness and perfect harmony between written text’s power and the emotional texture of the film. “The 100-Year-Old Man Who Climbed Out the Window and Disappeared” directed by Felix Herngren, based on Jonas Jonasson’s bestseller. The film was nominated because the director managed to reproduce the “explosive” sense of humor and to recreate the atmposhere of the novel in a brilliant way. “The Big Picture” directed by Eric Lartigau, based on Douglas Kennedy’s novel. The film was nominated because of the cleverly chosen international cast and the bold interpretation of the director who manages to convey the messages of the book. 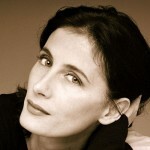 the most popular American writer in France, author of dozens of bestsellers. In Sofia, he met his numerous fans and opened the screening of “Big Picture” based on his novel. one of the greatly appreciated contemporary Italian writers, master of psychological portraits, winner of several prestigious awards; she presented the novels before the projections in Sofia. 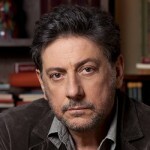 famous Italian actor, director and screenwriter, who had directed all the acclaimed Margaret Mazzantini’s novels; he presented the films before the projections in Sofia.